For 45 years we have taught thousands of children to swim in a positive, warm, and protective environment. We know that respect and understanding within a structured lesson produces a safe and happy swimmer. Why Kay's All Swim School? We are ALL about QUALITY in everything we do! Our enclosed, chlorine-free, 100% UV protected pool is kept at 92 degrees to promote optimum body movement and to keep away the shivers! 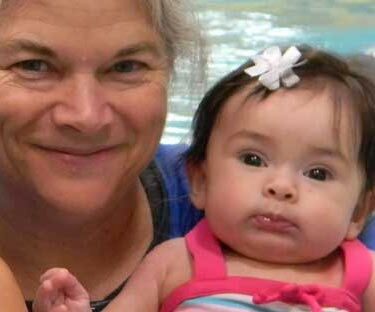 Instructors at Kay's All Swim School are trained in our unique ALL-SWIM method and are committed to providing excellent personalized swim instruction for infants, children, and adults! Our curriculum is based on Private Lessons everyday MTWTh. Lessons are customized each day for each child with one-on-one instruction allowing for the maximum progress possible in the shortest amount of time. Movement skills like crawling, walking, and swimming are ingrained in a child's 'muscle memory' by repetition every day. From the beginning, swimmers are taught a strong foundational basis of buoyancy and breath control, proper stroke technique, and repeated corrected practice. Confidence comes with being prepared. 2 Day a Week Private Lessons are offered to children 4 and older who are not beginning swimmers. Learning to swim is not just another activity. It is a life-long life-saving skill. Make the investment in your child's life! When your child is ready to receive swim instruction and you want the very best, take them to Kay's! New Mexico’s First Swim School! North America’s only environmentally friendly swim school! By using a combination system of Hydrogen Peroxide, Ultra-Violet Light, & Super Filtration we keep the water clean and healthy for swimmers and the environment! Top 10 reasons we go to Kay’s All Swim School (sent in by parents)!